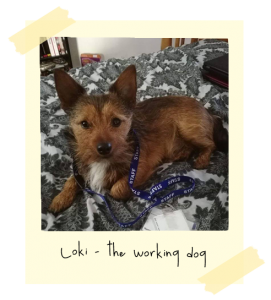 Josh put his ID badge from work over Loki and took this picture. We both think it’s cute. 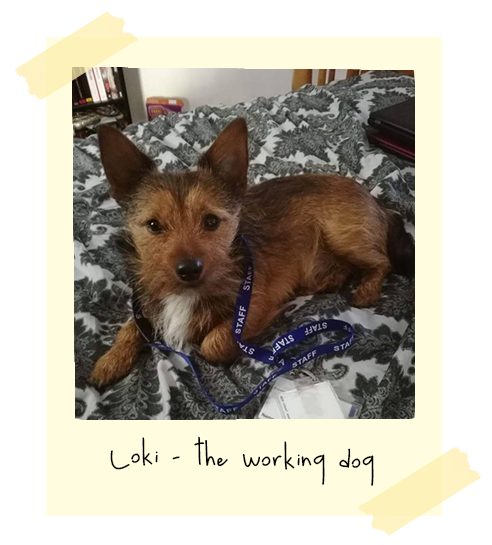 He’s a working dog now, on the way to his 9 to 5.